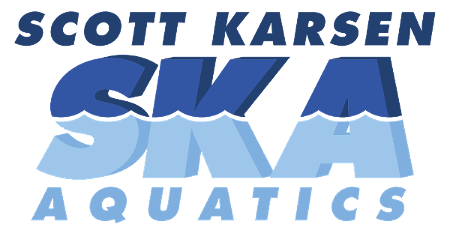 "Scott started working with my two-year-old son at the beginning of the summer and true to his word my son was jumping in, swimming to the edge of the pool and pulling himself out within weeks. All the moms comment on what a great swimmer Jameson is and how their own children are still using puddle jumpers. Thank you Scott for doing such a fabulous job with my son!" "Scott is an excellent teacher. He works with each student based on their ability. He's hands on and makes the student feel comfortable. He has been working with my 6 year old god son since February. In less than a year he has his him swimming both freestyle & backstroke. Also has taught him to dive. I highly recommend Scoot as a teacher, especially for beginners." "We recruited Scott for several one-on-one lessons to help with our three year old son who developed a fear of water out of the blue. Scott's upbeat attitude and kid-friendly pacing had our son in the pool, engaged, open to trying new things and having fun. I wouldn't have believed it if I didn't see it w/my own eyes! Miracle work!"